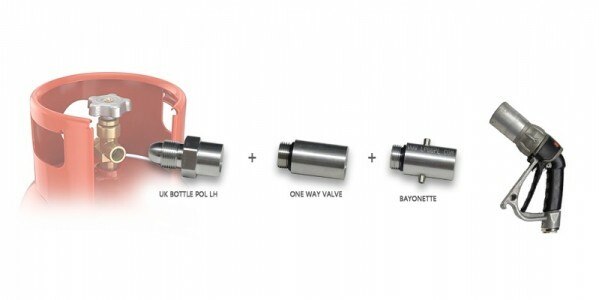 POL to Bayonet Uk bottle refill kit. 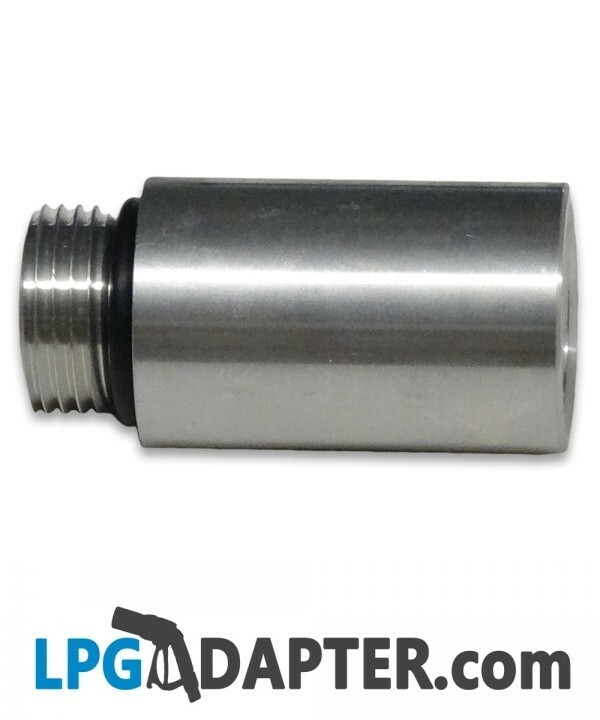 Use this LPG adapter for filling propane LPG orange cylinder gas bottles, from Calor, Flogas,BP, at autogas pumps and save money! 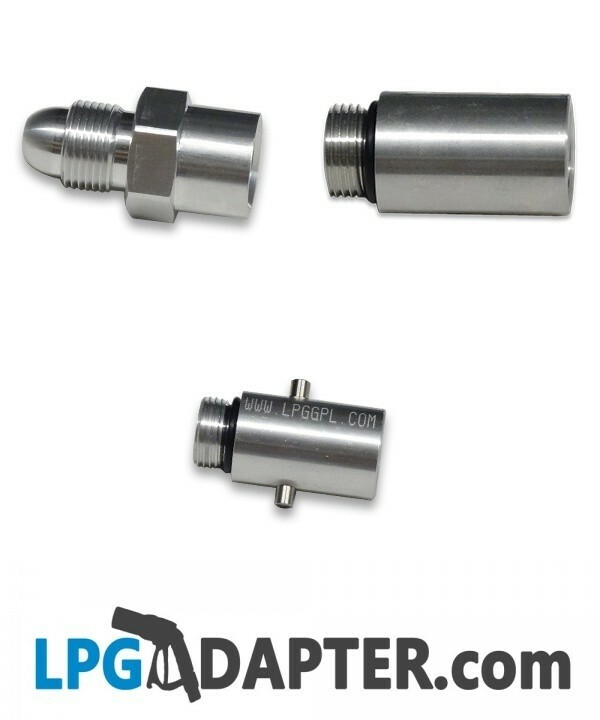 The POL to Bayonet UK Bottle Refill Adaptor Kit comes in 3 parts and it can be used with our other products in the lpg adapter ranges. 3. 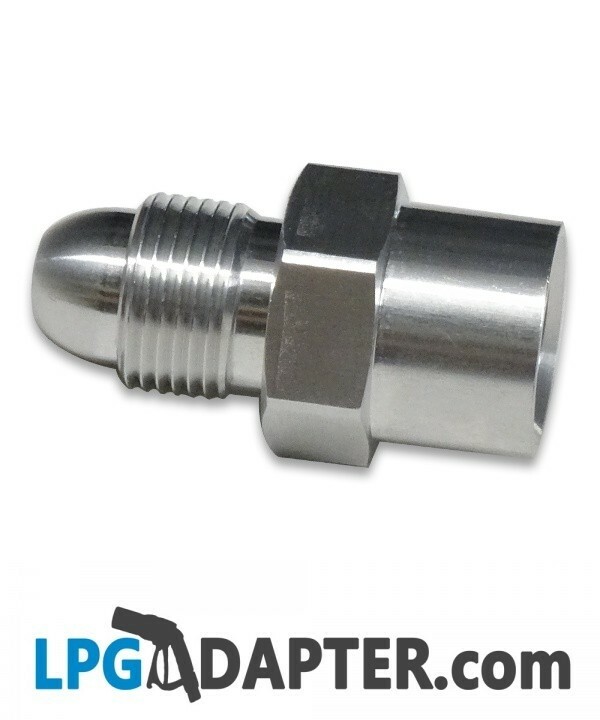 W21.8 male to Bayonet W21.8 female adapter. 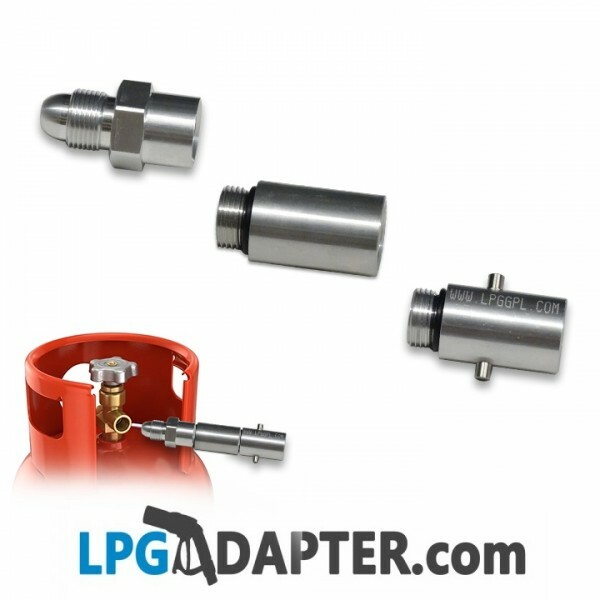 Fasten lpg pump nozzle to the adaptor and open valve on gas bottle. When finished close valve on lpg bottle cylinder. only ever fill lpg bottles to 80% !!!!! 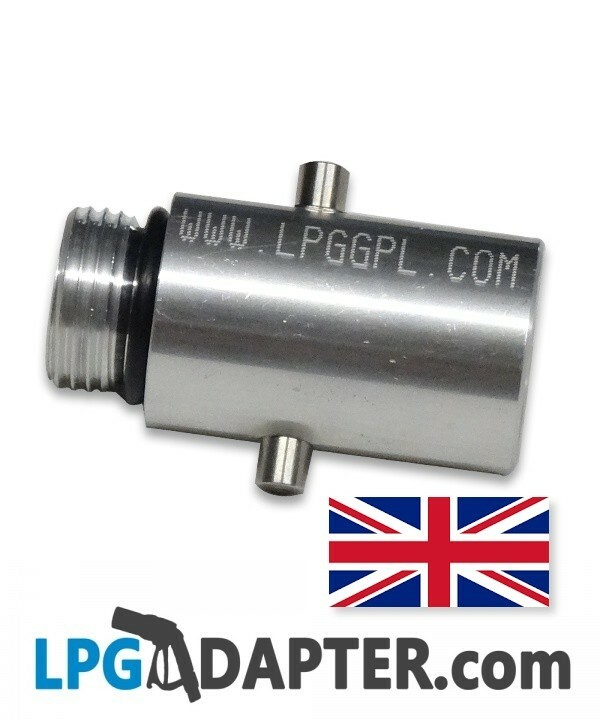 For full range of other lpg, autogas and propane adapters, if you are travelling across Europe, please browse through our shop and see other listings.